A three Judge Bench of the Supreme Court will pronounce the operative part of the Judgment in the Hadiya case at 2pm Today. 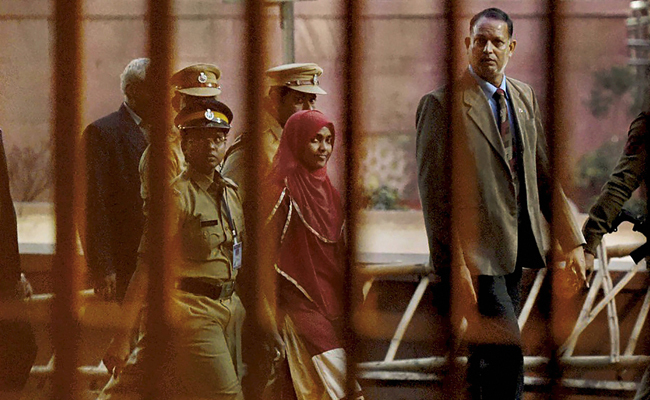 The Bench comprising Chief Justice Dipak Misra and Justices AM Khanwilkar and Chandrachud was hearing the final arguments in the appeal filed by Shafin Jahan against the Kerala High Court judgment, allowing the habeas corpus writ petition filed by Hadiya’s father and nullifying Hadiya's marriage with him. The Bench told Senior Advocate Maninder Singh, appearing for the NIA that NIA can continue their investigation without interfering with the marriage of Hadiya. Chief Justice Dipak Misra has repeated the question "“Can the High Court, in exercise of its jurisdiction under Article 226, nullify the marriage between two consenting adults?